Explore the famous pyramids of Egypt on this all-day guided tour. 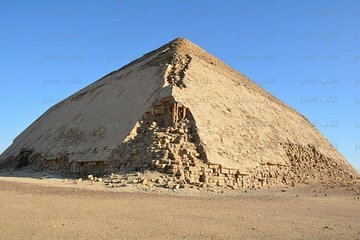 First, visit the Step Pyramid in Saqqara, which is said to look like a tiered wedding cake because of its many steps, followed by the Red Pyramid and the Bent Pyramid. The tour ends with a stop to see the famous pyramids of Giza and the Sphinx statue. You may enter one of the pyramids for an additional fee.